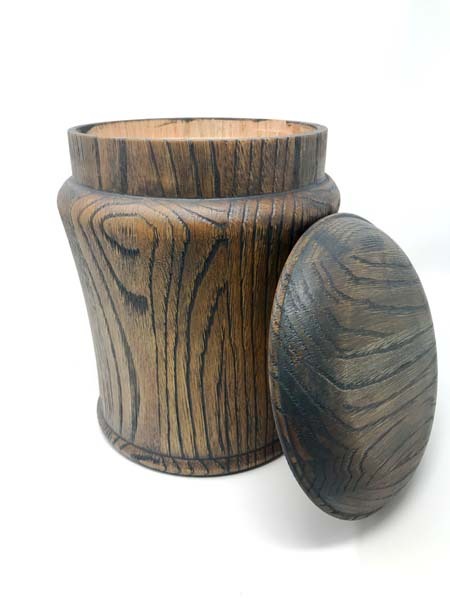 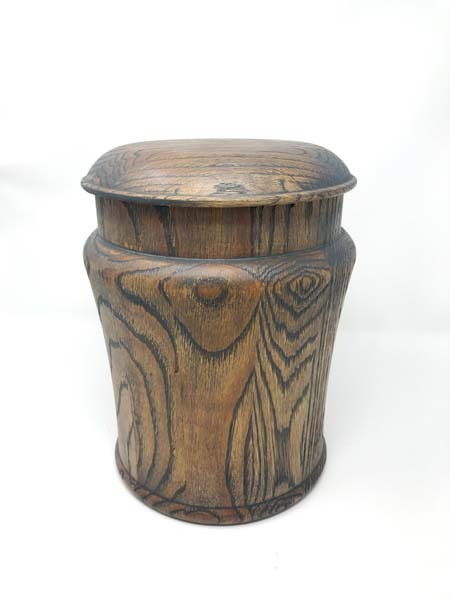 Solid oak urn with dark stain that accentuates the grain pattern of the wood. 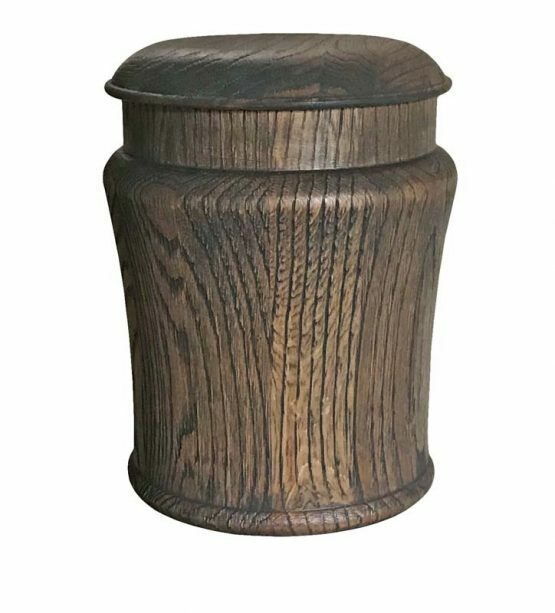 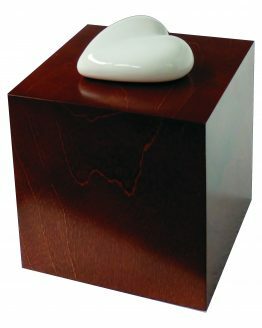 Round Pepperpot Solid Oak Classic Urn is a solid oak urn with dark stain that accentuates the grain pattern of the wood. 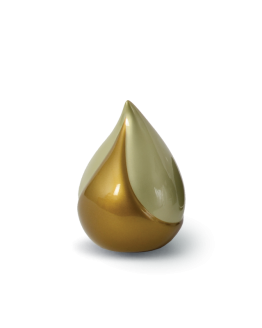 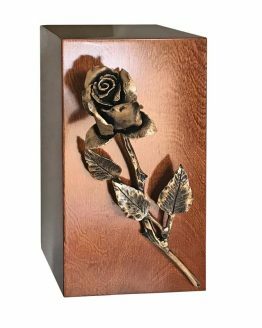 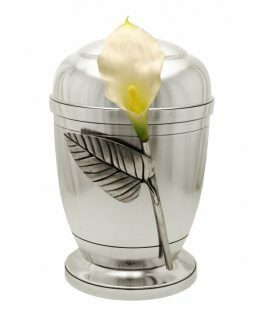 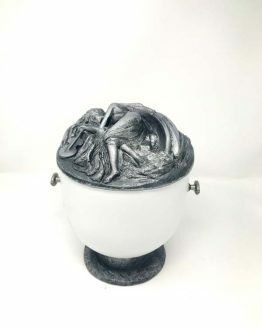 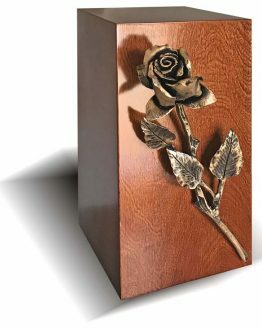 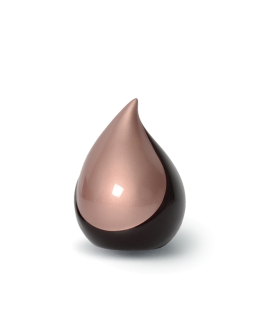 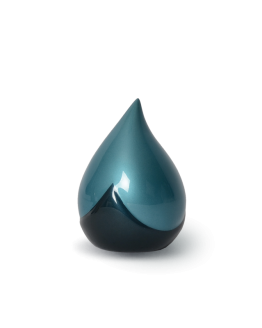 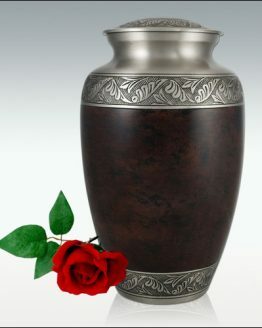 This design combines the simple classic urn shape with dark, to complement the décor of many modern homes. 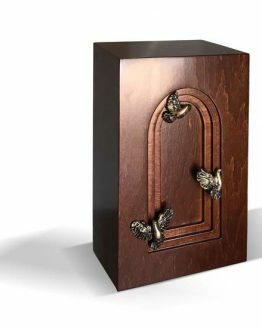 Secure lid opening. 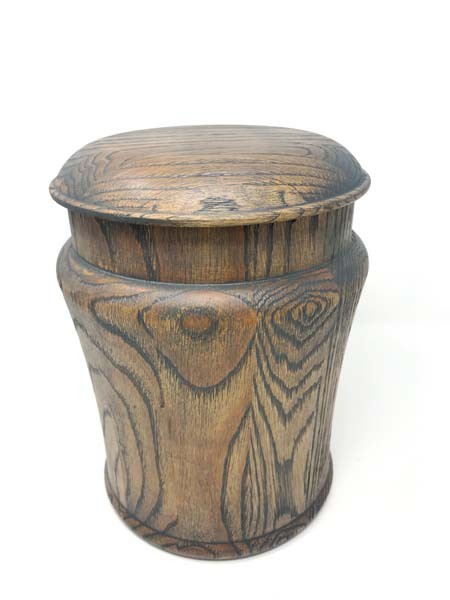 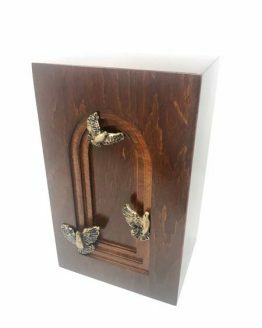 The natural grain of the wood means that no two urns will ever appear the same.